Rotherham residents and businesses are being invited to attend and get involved with a special Macmillan Coffee Morning and vintage market with a twist taking place on Saturday September 27 at Wynsors World of Shoes car park on Woodhouse Green in Thurcroft. There will be 20 stalls displaying local arts and crafts as well as displays from local businesses including Fresh n Chic Boutique, Thurcroft Emporium and Lorec Electricals. There will be a BBQ provided by the Real Steakhouse, a large bouncy castle provided by Wilk's Entertainment, face painters, mascot appearances, raffle/tombola, competitions and coffee and cakes! The event runs from 11am till 4pm. Event organiser, Dawn Brown from Fresh n Chic Boutique says the event has two main aims. She said: "This is a family day out for all whilst raising money for the nurses that hold the hands of patients and touch the hearts of their families. "We want lots of people to get involved spread the word and let everyone know about our event! The Macmillan Nurses need your support in whatever way you can offer, whether that be a small donation, request a stall, help out on the day - anything you can do will be much appreciated." Any volunteers, businesses or stall holders wanting to get involved should call Dawn on 07809 895 359 or email her on Freshnchicboutique@hotmail.co.uk. The event started in 1990, when a local fundraising committee decided to hold a coffee morning where people came along to meet and mingle - as they might ordinarily do - but donate the cost of their coffee to Macmillan in the process. 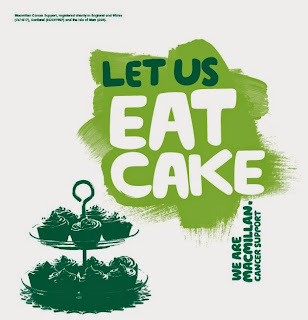 The simple ask of getting together with family, friends or colleagues for coffee and cake last year signed up 154,000 people and raised over £20m to help Macmillan provide vital services to ensure no one faces cancer alone. Coffee mornings taking place on September 26 in Rotherham include Wath, Ravenfield, Greasbrough and Swinton.